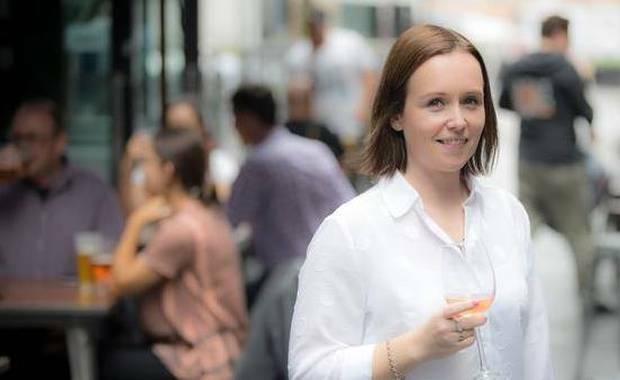 Stacey Hunt loves wine, hates protein powder and has zero willpower. How hard could sticking to a gruelling eight-week fitness challenge be? Here’s how she’s coping four weeks in. 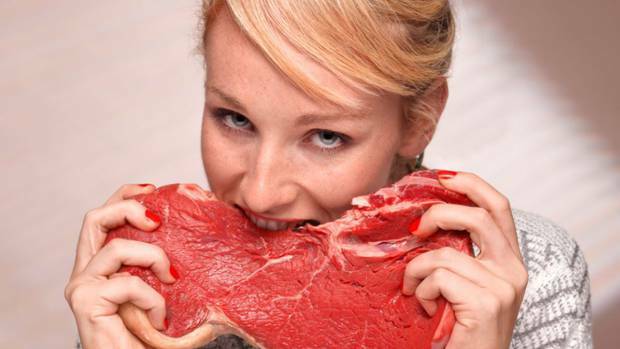 Steak for breakfast. I’ve become the kind of person who eats steak for breakfast, apparently.My high protein, meat-filled F45 diet continues this week, taken to new extremes with this steak-for-breakfast business. It’s not too bad but meat and vegetable dishes are starting to become a bit bland and I am a little bored with the food. My lack of willpower has also reared it’s ugly head and a night facing the prospect of chicken and Brussels sprouts made me want to crawl into a ball and cry. So I didn’t do it. I ordered a chicken and salad meal from UberEats instead and it was good! A weekend of birthday festivities for friends also challenged me this week. As I downed more glasses of wine than the doctor recommends and ate some glorious fried chicken I guiltily pushed to the back of my mind the fact that I was supposed to be on mince-stuffed capsicums and lemon water. Monday is a new week, I’ll absolve my sins then…. F45 is often labelled a cult, similar, in a way, to cross fit. I can see where this idea comes from: people become addicted to it and end up becoming part of a little F45 family. I wouldn’t call it a cult though, more like a community, a sweaty little community.There’s no judgement in these classes, or mirrors, just support and encouragement. No one is watching you struggle through 45 seconds of box jumps and trying not to fall on your face. No one is judging you for doing pushups on your knees, everyone is in their own little bubble, quietly dying. But there are high-fives. 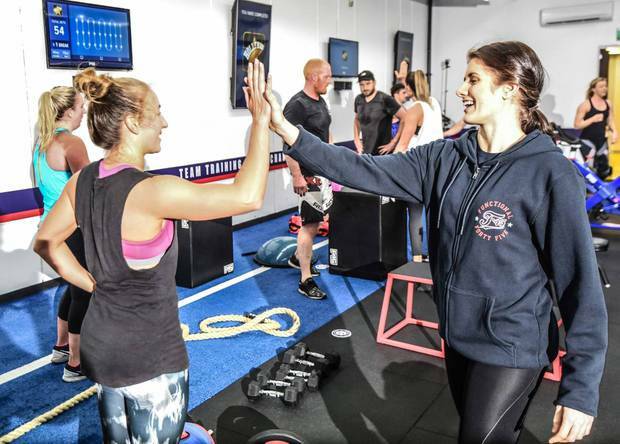 Lots of high-fives – and words of encouragement from the trainers who inform you you can in fact get through those last 10 seconds of dead lifts.For me this is the absolute best thing about F45. There are people from all walks of life, some just starting their fitness journeys, and some who look like they were born in the gym, but it doesn’t matter. It feels like a safe space to work out at your own level, and while the exercises may seem intimidating, the environment doesn’t. Halfway into the challenge I’ve found the classes have become not just about physical health for me but mental health. I actually feel happier and more upbeat leaving class, even if I was tired and grumpy walking in.I’ve never previously been one of those people who felt like I needed to work out, it was more that I felt obliged to workout to compensate for my eating habits. Now though, I find myself rearranging my schedule to make sure I fit a class in. Turns out I love these 45 minutes of intense physical anguish. That plus steak for breakfast – who am I?